Premium-Plus-Entry with territory protection ! Give your patients the opportunity to recommend you independently and at the same time, receive valuable feedback about your own services. It is a proven fact that this very kind of transparency and openness helps build the confidence of new patients. We check every entry before making it public, thus offering you good protection against the uncontrolled expression of opinion on the Internet. In case of controversy (less than 1%), our mediators will intercede. Basic listing is free and you can test the many advantages of our PREMIUM-LISTING package for one month free of charge - no strings attached. 1. Who can register in the Doctors database? The same goes for individual physicians with these qualifications working in clinics. 2. How can I add my medical practice to the Doctors database? In order to register with our Doctors database, please enter all the necessary information with the assistance of our dialogue boxes. The registration process will take only a few minutes. Finally, print out the registration form, sign it and fax it over or mail it to us by post. 3. What does it cost to have my practice registered? The Basic listing is free and it includes: Name, address, telephone number. Our recommendations-based marketing is unique. Recommendations from satisfied patients are the best advertising - because they are authentic. Surveys have revealed that more than 78% of all patients would gladly recommend their "good doctor" to friends and acquaintances. Using our field-tested marketing concept, you can turn this existing willingness into actual registered recommendations. Only those opinions published online can be read and lead to more new patients for your medical practice. As soon as you have reached 200 recommendations, you will receive our much sought-after Medlin star. We publicise this event in the media thus improving your notoriety even further. Die Arztempfehlung (Recommend a doctor) appears regularly in print as the "Guide Medlin". Only specialists with at least 50 recommendations will be listed in the guide. The PREMIUM-LISTING is a homepage with the design of your choice and up to 3 sub pages. It is constantly being search-optimized by a SEO specialist. This is like having your own website that one can actually find - and of course, it's ads-free. You can also use our tested and proven layout. PREMIUM-MEMBERS are always shown first, before regular (Basic) members. When you consider that many users only look at the first couple of pages, this can be very important. More than 85% of our databank users make targeted searches for specialist doctors - e.g. for Botox, breast surgery, liposuction, etc. You can be found on the basis of your areas of specialization only if you enter them! The same goes for your knowledge of foreign languages (language search). 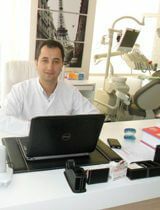 Many patients are looking for doctors who can speak their language - for instance English, Français, Türkçe. Or they are looking for doctors with at least one assistant/employee who can understand them. In addition, your entry will also appear in a second city or quarter according to your wishes. That can be a lot of help if your practice is located in the suburbs or in the vicinity of a larger town. You can also enter further details, such as opening hours, floor/ walk-up or lift, wheelchair accessible, how to get there by public means of transportation, parking space, etc. These advantages from 50 Euro per month. No minimum term of contract. Invoicing monthly in case of direct debit order (possible within the EU) or once a year in advance. Termination possible at any time, taking effect at the end of the month. You offer your patients an excellent prophylactic concept based on studies, and place greatest importance on the optimal customer-oriented approach as well as the best care possible for your patients. (see services). As a preventive doctor, we position you significantly ahead of your competitors. That’s why Premium Plus Entries enjoy many advantages. According to surveys, 91% of patients are looking for effective prevention suitable for everyday life. Through our study-based prophylactic concept you offer just that. The patient’s willingness to invest more money in dental prostheses increases proportionally with the certainty of being able to keep them healthy in the long term. The seal of quality Caries – NO THANKS and Doctor with great price/performance is shown on all sites together with your practice. The seal of quality Caries – NO THANKS and Doctor with great price/performance is also available for use and linking on your homepage. Of course, all the advantages of the Premium Entry are included here as well. These advantages from 99 Euro per month. No minimum term of contract. Have we aroused your interest? Then call 0041 716 952 111 or send a short e-mail. We will be happy to consult with you. Get started with your PREMIUM-LISTING. Last update search and find on 01.04.2016 07:55. I hade a very good treatment and received verry well. Explanation of the asistent and doctor were very clear. I could get my treatment within 30.min, I was very pleased by that. Thank you so much!! !